2. Click on a link to a tv station. Browse. Find a programme you'd like to record. Play a bit of the video and press the big Record show button in the upper left. You'll now be able to record the programme to a folder on your disk. TV4ever will do as you wish. 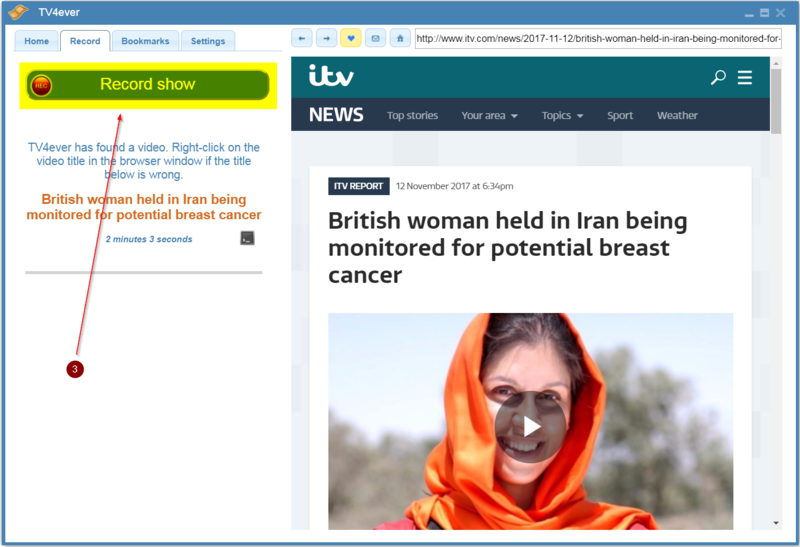 The righthand side of TV4ever is a browser. You can paste an url into the address field and press enter. Press the heart icon to bookmark a page. 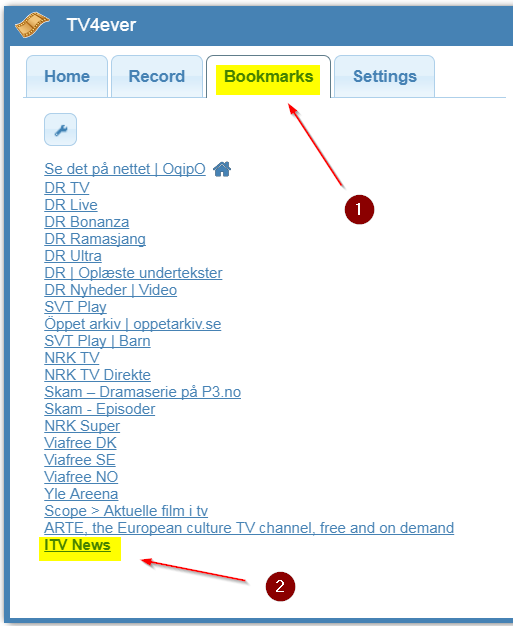 Press the mail icon to send feedback to TV4ever HQ. Now you might need to learn how to playback your recordings.